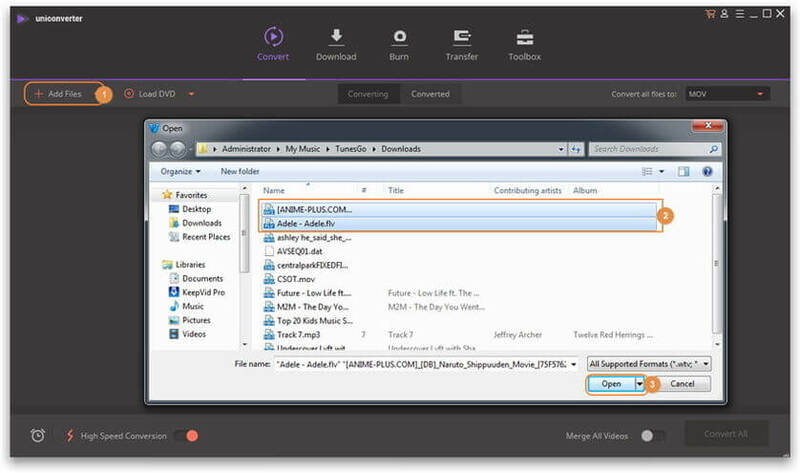 Files with .mswmm file extention are project files created by Windows Movie Maker. They are not video files. So, you can't play MSWMM files in some regular media players like iPhone, Game consoles, PSP, and share them on some video sites, etc. 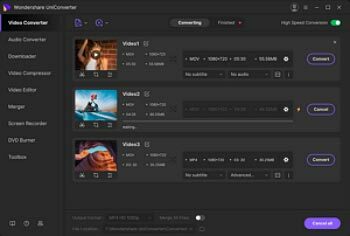 Since AVI is one of the most popular video formats that can be supported by most devices and applications, many people want to convert MSWMM to AVI for more uses. This article mainly demonstrates how to convert MSWMM files to AVI files step by step. 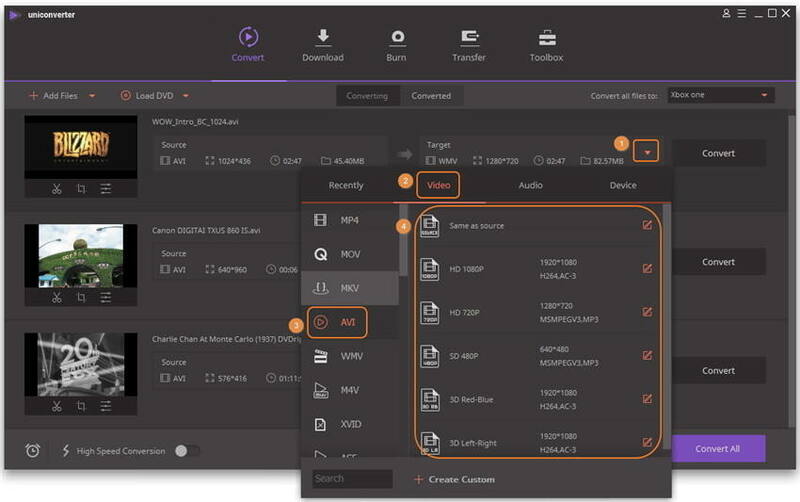 First, you need to save your MSWMM files as a video files, and then you can use your favorite video converter to convert them to AVI format. Here, I directly introduce Wondershare UniConverter (originally Wondershare Video Converter Ultimate). It can be your desirable MSWMM to AVI converter, converting videos with ultrafast speed and high quality. First, you have to save your MSWMM project files as video files. Just click the File menu at the top left of Windows Movie Maker's main interface, choose the Open project to open one of your local MSWMM project files, next, drag the imported file to the Timeline below. At last, go to the Finish Movie > Save to my computer to export a WMV video file. Then, launch Wondershare video converter. You'll enter into this app's Convert interface. Simply click button on the top-left corner of the interface. And then a window will pop up, leading you to import saved video files in step 1. Click the icon from the Target box and select Video tab, choose AVI in the left sidebar and select the video resolution in the right to confirm the output format. At last, you just hit the Convert or Convert All button on the program’s main interface. This app will start to convert your videos to AVI videos, and the video conversion will be completed a while later. This app will save the converted files in its output folder. The output file path is at the bottom of this video converter's main interface. Of course, you can change it by yourself. After conversion, you can find the output AVI files according to the file path or by directly clicking the Open Folder option beside.